Aruna Roy has been a crusader for participatory democracy and accountability of public programs across India. 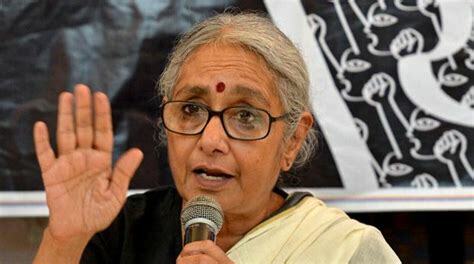 She co-founded the Mazdoor Kisan Shakti Sangathan which began by fighting for fair and equal wages for workers which shaped and evolved into a struggle for the enactment of India’s Right to Information (RTI) Act in 2005. She is a leader of the RTI movement through the MKSS and the National Campaign for People’s Right to Information (NCPRI), and collaborates with several AID partners. She has been at the forefront of a number of campaigns for the rights of the poor and the marginalized. These have included, most prominently, the Right to Information, the Right to Work (the NREGA), and the Right to Food. More recently, she has been involved with the campaign for universal, non-contributory pension for unorganized sector workers as a member of the Pension Parishad and the NCPRI for the passage and enactment of the Whistleblower Protection Law and Grievance Redress Act. She was a member of the National Advisory Council till 2006. In 2000, she received the Ramon Magsaysay Award for Community Leadership. She has been a mentor for several AID partners and was on the panel of judges that recommended AID for the Times Social Impact award.